March 14, 2019, 7:30pm. Buy tickets here. We have a limited number of seats left. If you find that tickets are no longer available online, feel free to come to the theater. At the Writers Guild Theater, 135 S. Doheny Drive Beverly Hills, CA 90211. Parking for a fee is available in the structure next door just south of the theater on Doheny. After leaving the Obama White House as the youngest Deputy Chief of Staff, Alyssa Mastromonaco’s goal was to encourage more women to run for office and to work for those who serve. Flash forward to the 2018 midterms, and it’s clear she accomplished her goal. 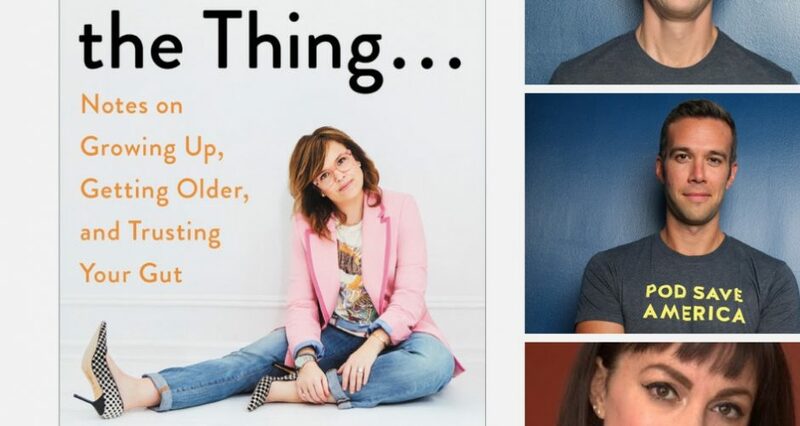 In her new book, So Heres The Thing: Notes on Growing Up, Growing Older, and Trusting Your Gut, Mastromonaco tackles the thorny issues of working women, politics, pop culture and more. She is known not only for her savvy at helping to run the White House in the Obama years, but also for her quick humor and keen insight on issues facing us today. Alyssa’s first book, Who Thought This Was a Good Idea? jumped to the bestseller lists because you cant beat her stories. She serves on the board of NARAL, and is now an integral part of Crooked Media, the company behind Pod Save America and other wildly popular podcasts. In conversation with Erin Gloria Ryan, Jon Favreau and Tommy Vietor. 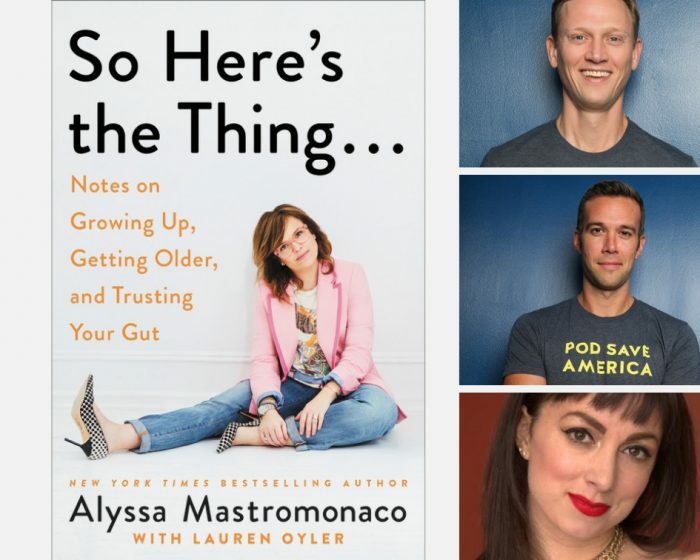 Erin Gloria Ryan is a comedian and hosts the podcast Hysteria on Crooked Media. Jon Favreau and Tommy Vietor are two of the four founders of Crooked Media and two of the four leading voices of Pod Save America. What a night. This entry was posted in Author, Books, Books, Books, Past Events, Politics, Previous Events, Program. Bookmark the permalink.